You’ve made the decision to get your marine window tint completed, but now you’re not entirely sure what to look for in a mobile marine window tint company. Admit it; your marine craft is like one of your children. You love it and only want the best for it, so you can’t take risks when it comes to protecting your beloved boat. The longer a company has been in business, the more reliable and experienced they are at marine window tinting. If you wouldn’t leave your child with a person who has no previous experience, why would you do that to your beloved boat? We’ve been in the business since 1982. We understand the importance of proper window tint installation and we ensure superior quality and longevity to our installations. The most convenient part of it all is that we come to you. You don’t need to do anything as we’ll make house calls for all your tinting needs. Always look at online references, testimonials or reviews about a company. If the vast majority of the reviews are positive, then there’s a great chance that you’ll be satisfied with the work done. If the reviews are mostly negative, instead of taking a chance to save money, rather find a company where satisfaction is guaranteed. By taking a chance you risk damage to your marine craft, costly repairs and you’ll need to find and pay someone else to fix and redo the botched job. Why take an unnecessary risk by trusting a less well known company? A rating by the Better Business Bureau (BBB) shows total compliance within the BBB framework. The BBB ensures an honest and responsive rapport between consumers and businesses. Their standards for trust are a fully comprehensive set of practices for how consumers should be treated and business who aren’t compliant can lose their rating as BBB accredited businesses are continuously monitored. The BBB has ratings ranging from A+ to F and we are proud to say that at Doctor Window Tint we have an A rating from the BBB as we believe in creating long lasting trustworthy experiences with our clients. Stick to a firm that will work within your budget, but also advise you on what is fair to ensure your safety. Ensure that when you receive a quotation to tint your boat, you receive a written quotation as well. A written quotation protects you from companies that may decide to charge you extra because they initially under-quoted you in order to secure the job. There are four main types of film available on the market and you may want to stick within your budget, but never compromise quality for cost. The four main types of film include dyed film, metalized film, carbon film and ceramic film. Each film has its benefits, but you’ll need a tint that can withstand the changing weather conditions on the ocean. 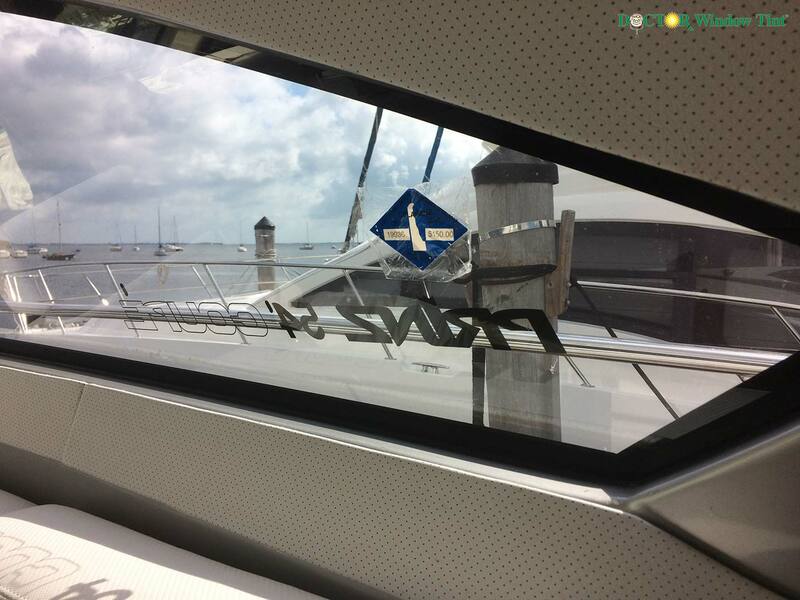 Just in case your partner may think a marine window tint is an unnecessary expense, there are also numerous benefits attached to boat window tinting. It’s important that you contact a professional tinting company to handle the pane of dealing with your windows, at Doctor Window Tint; we take care of your panes, so you don’t have to.